Asian Journal of Algebra is an international mathematical journal carries high stantdard original research articles in the field of algebra. Scope of the journal includes: Module theory, ring theory, group theory algebras, co-modules, co-rings, co-algebras, representation theory, number theory, algebraic geometry, computational algebra and analysis of new algorithms. Asian Journal of Algebra now accepting new submissions. Submit your best paper via online submission system. Dr. M. Ali Akbar is currently working as Associate Professor at Department of Applied Mathematics, University of Rajshahi, Bangladesh. He completed his PhD in 2005 in from same university. In 2012, he joined School of Mathematical Sciences, Universiti Sains Malaysia, Penang, Malaysia to complete his post doc. 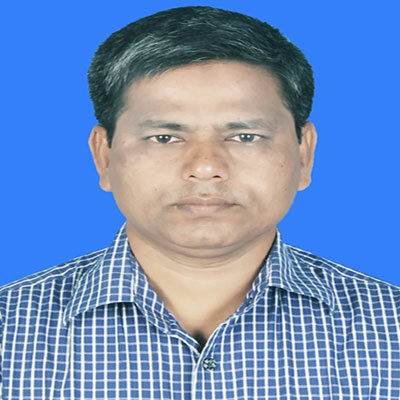 His prior work experience includes Assistant Professor at Department of Applied Mathematics, University of Rajshahi, Assistant Professor and lecturer at Mathematics Discipline, Khulna University, Assistant Professor and Lecturer at Department of Mathematics, Rajshahi University of Engineering and Technology, Bangladesh. M. Ali Akbar is also an author of a book name “KBM method for fourth order nonlinear differential systems, Lambert Academic”. He published 131 Articles in peer reviewed national and international journals. He supervised 3 Mphil, 4 MSc. and 1 BS (Hons) students. He is serving in more than 20 journals as an Editorial Board member. He is also serving as a Reviewer in more than 40 journals. He was honored by many Academic and Merit Awards. He has expertise in C++, FORTRAN, MAPLE and MATHEMATICA. Publishing your research in Asian Journal of Algebra is simple and efficient. You will be guided through the submission process step by step. Before submission of your manuscript, it is strongly recommended to read Guide for Authors to minimize the chances of manuscript rejection.